The NetWay1 from Altronix is a Single Port Midspan PoE Injector - One PoE compliant port rated @ 15.4W IEEE 802.3af, PoE shutdown feature, compact insulated housing. Midspan provides power for PoE compliant cameras. They are available with one port in a compact insulated case. Cameras may be located up to 100m (328 ft.) from the NetWay unit. A NetWayXT repeater module can be utilized to extend the distance an additional 100m (328 ft.) for a total range 200m (656 ft.). 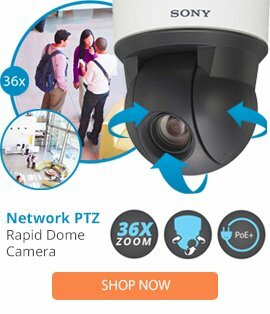 Additionally, NetWay Midspans are capable of supporting conventional fixed and PTZ IP cameras by utilizing NetWay1512 splitter/adapters.